This past Sunday my daughter and I went to see a movie together. I was reluctant to take her because she had a busy week – celebrating her birthday with her father’s family on Thursday night, with my family Friday night and her friends on Saturday afternoon. By Sunday I was downright pooped, and I could see it took a toll on her as well. But I had promised her that we would go, and so we went. And I’m glad that we did. I’m not one to go to the movies often. Half of the time I don’t know what’s playing, but I saw the previews to this movie from the last time we went, and I was excited to watch it. 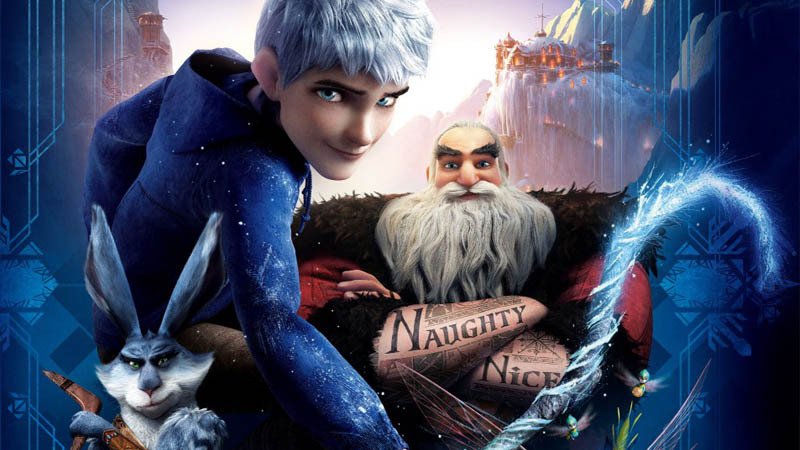 We saw Rise of the Guardians, and it was an awesome movie. I really enjoy kids movies, and this one I feel by far is one of the best I have ever seen. I was moved to tears, as I felt it really touched something deep inside of me. Let me tell you a bit about the movie, and why I was so moved by it. 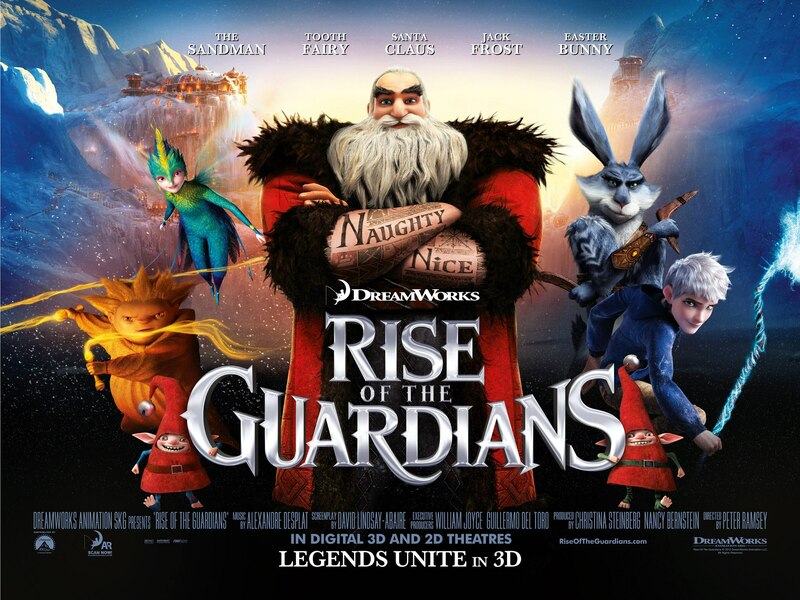 This movie is about all the mystical characters of our cultural mythology (aka Guardians): Santa Clause, the Tooth Fairy, the Easter Bunny, the Sandman and Jack Frost. In the story, they are spirits that were put on Earth by the Omnipotent Man in the Moon and their job is to protect the children of the Earth from evil – the Boogeyman. The Boogeyman’s role is to make the kids stop believing in the Guardians and let fear rule the world. This is where things get interesting. The movie obviously has the theme of good vs. evil, alongside with other big themes that we, as adults, deal with every day. For example, early on in the movie we are introduced to Jack’s struggle as to why he was put on this earth, what his role in life is. Then Santa blatantly asks Jack what his “center” is, and finally the theme of being alone and invisible and spreading fear. These all pulled at my heart-strings. And of course, it got me thinking….. When Jack asked the Man in the Moon “why am I here, why did you put me here?” I felt my breath get caught in my throat. I felt like as if someone had punched me in the stomach, grabbed a hold of my insides and started twisting. I often ask why I’m here, and what my purpose is. I still don’t know, yet I keep on searching, trying to figure it out. Like Jack, I feel that I should be doing much, much more, and that there is something bigger out there for me to work towards, but in the meantime I feel completely lost. I so wish that I could have a bunch of Yeti’s put me in a potato sack and carry me away to a place where I will discover what my destiny is. A very interesting point that Santa brings to the picture is the question he asks Jack. “What is your center?” That didn’t make sense at first until he picks up a Russian nesting doll that represents him and opens it. He explains that just like the doll there are different layers that make up his personality – jolly, fearlessness etc, but when he reaches the core, we find out that Santa’s “center” is wonder. He brings wonder to all the children. That’s why he’s here. By the end of the movie, Jack finds out that his center is Fun. I was stunned by all of this information. This was a completely new way of look at things, of looking at life. I don’t know about you, but I always associated my “purpose” to be tied to doing something, some sort of task. For example, help disabled people, feed the hungry etc. Never did I think that my center could be something like bring wonder or fun into this world. What a concept!!! Imagine what this world would be like if we could be like the Tooth Fairy and be a Guardian of Joy, or like the Easter Bunny and be a Guardian of Hope? Or like the Sandman and be a Guardian of Dreams? Don’t you feel lighter just thinking about it? For me, when I came to this realisation, I felt a huge weight lifted off my chest, and I felt so much lighter. To not have to figure out ‘the task’ of what I have to do in this world is liberating. It really doesn’t matter anymore what I do, but knowing that I can be a Guardian of Fun or Hope or Dreams by just spreading goodness in this world is enough. Wow. Both Jack and the Boogeyman shared the theme of aloneness and invisibility. They both felt that no one could relate to them, no one could see them. 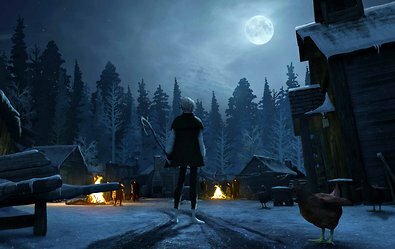 Obviously, the Boogeyman chose to react in an evil way and take revenge out onto the world for this, and Jack, although struggling chose to be loving and good. I know this state very well as most of my life I had felt very much alone and invisible. Sometimes I even enjoyed not being seen, but most times there was nothing I wanted more. I would have given up a limb just to be acknowledged. While like that, in that aloneness phase, it is so easy to turn away from the world and become bitter, as you sometimes wonder what the point of it all is. That was a huge struggle for me. But the good thing is, that is what it is – just a phase. It takes time, but eventually you can come out of it, if you allow yourself to be seen. It takes just one person to believe in you, and your entire world can turn upside down, but for the good. That is what happened to Jack. The last child on earth, Jamie, believed in him when no one else would, and was able to see him. How many times do you see the people in front of you. I mean really see them, past the layers they build up around them, and see their core? And sometimes it takes that one person to believe in you, in order for you to believe in yourself. That is what happened to me. The Boogeyman wanted to be seen as well. But his method was to instill fear in everyone in order to gain their respect and have them believe in him. Jamie shouted to him and said “I believe in you, but I’m not afraid of you.” I was floored by this comment. I thought back to all the times where I’ve felt paralysed by fear, and also back to the times where I had to force myself through a situation where I knew that the risks were high, and that I would likely get hurt, but I didn’t allow the fear to paralyse me. I chose to replace that feeling with something else, such as courage, and I was able to get through it. This was a skill I have been learning to master, and to see it in the movie, and hopefully getting through to the children watching it was heart-warming. Maybe I’m reading into this movie too much, who knows. But for me, I could see the benefits of this movie, and how it has enhanced my life, I felt like I was Jack. So, let me be Santa ask as you this – have you found out what your center is? I think mine is to have an awesome time while here on this planet, and to take anyone who crosses my path down with me. What do you say? You are a Smartie indeed! The mystics across the centuries have known to guard principles and people by holding them in blessing and prayer. I agree that leaving “doing” and getting back to “being” who we truly are is our chief purpose in this brief interchange called life. Thank you for sharing, my dear. I like it. A lot. Love santa’s question. What’s your centre! One guy said that his wife was awesome. After hearing that I thought I want someone to think of me as awesome. So after reading your post realize I want to be the Guardian of Awesome. And I get to define it. I’m with Koyl on this one.